John Bonnie leads the firm's Insurance Coverage Practice Group. This national practice is devoted exclusively to complex commercial disputes, arbitration and litigation, particularly matters addressing obligations arising out of insurance contracts, written agreements to indemnify and other means of shifting and allocating risk. John's practice runs the gamut of insurance coverage obligations implicated by first-party insurance claims and third-party liability claims, including claims advice and counseling, representation of carriers in coverage arbitration and litigation, and defense of claims alleging insurer bad faith and extra-contractual liability. 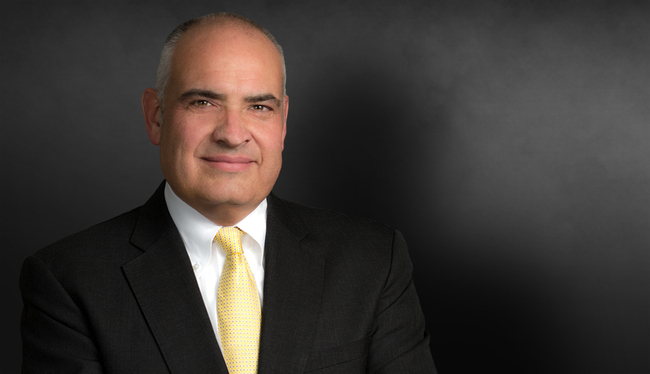 His experience includes complex commercial and insurance arbitration matters, multi-party insurance litigation, London and Bermuda market policies and disputes, and national coordinating counsel roles for insurers involved in large dollar risk litigation matters. Nat'l Union Fire Ins. Co. of Pittsburgh, Pa. v. Papa John's Int'l, Inc., 29 F. Supp. 3d 961 (W.D. Ky. 2014). Coverage dispute arising out of TCPA liability under commercial general liability insurance policy. Uniwest Construction, Inc. v. Amtech Elevator Services, Inc., 281 Va. 509, S.E.2d (2011). Coverage dispute arising out of death/injury on construction project under umbrella liability insurance policy. Uniwest Construction, Inc. v. Amtech Elevator Services, Inc., 280 Va. 428, 699 S.E.2d 223 (2010). Coverage dispute arising out of death/injury on construction project under umbrella liability insurance policy. (2009) Trial in Indiana State Court in action between insureds of two liability insurance carriers regarding the alleged obligation to procure coverage under commercial general liability insurance policy pursuant to written contract. Southwire Co. v. National Union Fire Ins. Co. of Pittsburgh, PA, 2009 WL 1139485 (11th Cir., Apr. 29, 2009). Coverage dispute arising out of aircraft product liability exclusion under umbrella liability insurance policy. Dueco, Inc. v. Terex-Telelect, Inc.,900 N.E.2d 832 (Ind. App. 2009). Dispute regarding applicability and enforceability of contractual indemnity provision. (2009) Trial in Virginia State Court in action between liability insurance carriers regarding respective obligations of insureds to indemnify and procure insurance. Choate Constr. Co. v. National Union Fire Ins. Co. of Pittsburgh, PA. Coverage dispute arising out of construction defect liability under umbrella liability insurance policy. USMoney Source, Inc. v. American International Specialty Lines Ins. Co., 2008 U.S. Dist. LEXIS 2966 (N.D.Ga., Jan. 15, 2008). Coverage dispute arising out of errors and omissions policy. Dowdell v. Volvo Commercial Finance, 286 Ga. App. 659, 649 S.E.2d 750 (2007). Coverage dispute arising out of commercial auto insurance policy. South Hills Associates, LLC v. Nutmeg Ins. Co., 2006 U.S. Dist. LEXIS 95412 (N.D.Ga., Feb. 8, 2007). Coverage dispute arising out of property insurance policy. Herbalife Int'l, Inc. v. St. Paul Fire & Marine Ins. Co., 2006 U.S. Dist. LEXIS 19180 (N.D.WV., Mar. 30, 2006). Coverage dispute arising out of umbrella liability insurance policy. Penn National Ins. Co. v. Ely Wall & Ceilings, Inc., 2006 U.S. Dist. LEXIS 19180, D.SC, Mar. 6, 2006). Coverage dispute arising out of construction liability. Hooters of Augusta, Inc. v. American Global Ins. Co., 157 Fed. Appx. 201 (11th Cir. 2005). Coverage dispute arising out of umbrella liability insurance policy. GuideOne Life Ins. Co. v. Ward, 275 Ga. App., 619 S.E.2d 723 (2005). Coverage dispute arising out of life insurance policy. Mariner Healthcare Inc. v. Indemnity Ins. Co. of N. Am., Inc., 2004 U.S. Dist. LEXIS 29914 (N.D. Tx. Sept. 20, 2004). Coverage dispute arising out of property insurance policy. Sorema N. Am. Reinsurance Co. v. Johnson, 258 Ga. App. 304, 574 S.E.2d 377 (2002). Coverage dispute arising out of property insurance policy. Stewart v. Auto-Owners Ins. Co., 230 Ga. App. 265, 495 S.E.2d 882 (1998). Coverage dispute arising out of general liability insurance policy. Chicago Ins. Co. v. Central Mutual Ins. Co., 229 Ga. App. 291, 494 S.E.2d 1 (1997). Coverage dispute arising out of general liability and excess liability insurance policies. Southern Guarantee Ins. Co. v. Central Mutual Ins. Co., 214 Ga. App. 662, 449 S.E.2d 3 (1994). Coverage dispute arising out of automobile liability insurance policy. "Crisis Management and Incident Response: Using Insurance as a Loss Mitigation and Business Resiliency Tool," presentation, American College of Coverage and Extracontractual Counsel, October 2017. The Seminar Group, paper and presentation addressing insurance coverage for construction defect liability, 2005. Lorman Education Services, paper and presentation addressing insurance coverage for construction defect liability, 1999. Georgia Institute for Continuing Legal Education, paper addressing insurance coverage for construction defect liability, 1998. Editor of 50 state survey of law addressing the interface between liability insurance policies and separate agreements to indemnify by a named or additional insured. "Owning Up to Lawyer Missteps and the Perilous Consequences of Trying to Bury Professional Error," webinar, American Bar Association, Center for Professional Development, July 14, 2017. "Construction Defect Bad Faith Insurance Claims: Navigating Duty to Defend and Indemnify Denial and Bad Faith Set-Ups," webinar, Strafford Webinars, December 15, 2016. "Understanding the Trucker's Liability, Motor Carrier & Business / Commercial Auto Forms," presentation, Berkshire Specialty Insurance Company, August 28, 2015. "'My Bad': Creating a Culture of Owning Up to Lawyer Missteps and Resisting the Temptation to Bury Professional Error," American Bar Association Litigation Section Annual Conference, New Orleans, Louisiana, April 16, 2015. "Here's My Number, So Call Me, Maybe," webinar on insurance coverage for alleged violation of the Telephone Consumer Protection Act (TCPA), American Bar Association Litigation Section Insurance Coverage Litigation Committee, October 28, 2014. "Guesswork, Luck, And A Little Duct Tape: Predicting Outcomes and Presenting Winning Arguments In The Ever-Changing Realm Of Conflict of Law," American Bar Association Litigation Section Insurance Coverage Litigation Committee Seminar, Tucson, Arizona, March 8, 2014. “You Say 'Covered Consequential Loss,' I say 'Non-Covered Inflicted Injury': The Developing Law of Insurance Coverage For 'Rip and Tear' Damages In Construction Defect Litigation,” American Bar Association Litigation Section Insurance Coverage Litigation Committee Seminar, Tucson, Arizona, March 1, 2013. "Insurance in the Construction Industry," panelist, The Seminar Group, Atlanta, Georgia, May 23, 2012. “Lost Lives, Damaged Property & A Toaster: The Domestic and International Reach of Liability Coverage for Manufacturers and Retailers under the ISO Vendors Endorsement and Similar Forms,” American Bar Association Litigation Section Insurance Coverage Litigation Committee Seminar, Tucson, Arizona, March 3, 2012. "When 'Later' Is Just Too Late: Early Issue Spotting In Construction Claims & Litigation," American Bar Association Litigation Section Insurance Coverage Litigation Committee Seminar, Tucson, Arizona, March 2-4, 2011. "The Winding Road to 'Insured Contract' Coverage and Additional Insured Status: A Case Study of Tribulation and Trial," American Bar Association Litigation Section Insurance Coverage Litigation Committee Seminar, March 4-6, 2010.